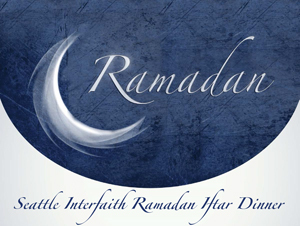 The Pacifica Institute invites you to the Seattle Interfaith Iftar Dinner, “The art of Living Together: Building Relationships.” Keynote speaker is Dr. Reuven Firestone, Professor, Medieval Judaism and Islam at Hebrew Union College and Co-Director, Center for Muslim-Jewish Engagement at USC. Please RSVP by June 28 at seattle@pacificainstitute.org. Co-sponsored by Church Council of Greater Seattle; Faith Action Network; and Seattle University School of Theology and Ministry.